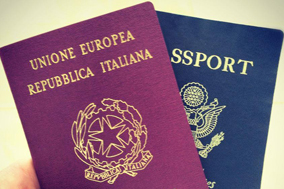 (WASHINGTON, D.C. – December 1, 2011) More than 80 scholarships will be available to students through the National Italian American Foundation (NIAF) for the 2012-2013 academic year. The Foundation has awarded millions of dollars in scholarships and cultural grants since its inception in 1976. NIAF celebrates its 36th anniversary this year. 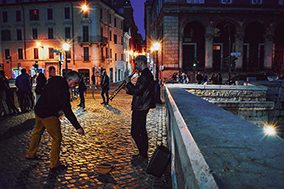 Since NIAF’s inception, the scholarship program has grown from four scholarships of $250 each to more than 100 annual scholarships ranging from $2,000 to $10,000 each in the humanities, medicine, engineering, business, music, Italian language and culture, and other specialized fields. Last year, the average scholarship to students in the United States was worth more than $3,000. 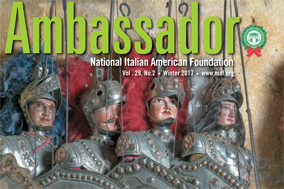 Last year NIAF awarded grant funding to The Italian American Museum of Los Angeles, St. Jerome School in Chicago, ll., La Scoula d’Italia in New York City, and the Jane Vorhees Zimmerli Art Museum at Rutgers University in New Brunswick, N.J. NIAF grants are offered in the following four categories: Italian Language grants, Culture and Heritage grants, Fellowship grants and Youth Program grants. “NIAF has awarded $10 million in scholarships and grants across the country since its inception. The NIAF Board of Directors is extremely proud of the high caliber of students and their achievements,” said Matthew J. DiDomenico, Sr., chair of the NIAF scholarship and grants committee and NIAF senior executive vice president. Scholarship applicants either must be of Italian descent, with at least one ancestor who has emigrated from Italy, or a student of any ethnic background majoring or minoring in the Italian language, Italian studies, Italian-American studies or a related field. NIAF scholarship recipients are selected based on academic merit. Students must have a minimum GPA of 3.5 to apply. Contributors to the NIAF scholarship program include individuals, corporations, and organizations across the U.S. NIAF will also consider matching scholarships with other organizations. Apply online for a 2012- 2013 NIAF scholarship at www.niaf.org/scholarships. Application deadline is March 2, 2012. Apply for a 2012-2013 grant at www.niaf.org/grants. The grant application will open January 2012. Application deadline is June 30, 2012. To establish a NIAF scholarship and or grant, contact Alice Bernardi, NIAF director of finance, at abernardi@niaf.org or 202/939-3111. 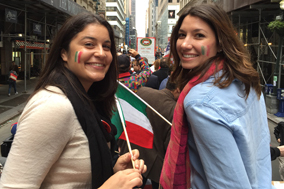 The National Italian American Foundation (NIAF) is a non-profit organization based in Washington, D.C., and dedicated to preserving the heritage of Italian Americans. Visit www.niaf.org.